This hotel is located next to the Toulouse-Blagnac Airport and a 15-minute drive from central Toulouse. It offers free parking and free access to the sauna and fitness room. The Airport Hotel offers soundproofed rooms with air conditioning and free Wi-Fi. Guests are invited to relax in the bar and the Airport Hotel has a 24-hour front desk with free newspapers. In central Toulouse, this 4-star hotel features 1930s décor with an aviation theme and a 24-hour front desk. It has air-conditioned guest rooms with an iPod docking station and free Wi-Fi access. A flat-screen TV, a minibar and a Nespresso coffee machine are standard in each soundproof room. Some rooms have a sitting area. All of the contemporary bathrooms include L’Occitane amenities. A buffet breakfast is served every morning at Le Grand Balcon Hotel. Enjoy a drink in the contemporary bar while reading the newspapers provided. Place du Capitole is just 300 ft from the hotel and Capitole Metro Station is a 3-minute walk away. Galeries Lafayette is a 5-minute walk away. In the historic center of Toulouse, Hotel des Beaux Arts is just a 5-minute walk from the Capitole. It offers individually-decorated rooms with free Wi-Fi access and satellite TV. Some rooms have views of Garonne River. A continental breakfast is available each morning. The Beaux Arts’s restaurant and bar has an elegant Belle-Epoque décor and serves regional cuisine with local specialties. The Beaux Arts Hotel provides a 24-hour front desk and a bike rental service. Guests can easily visit the city’s main attractions and public parking is available next to the hotel. This non-smoking hotel is located on a quiet street in the center of Toulouse, 55 yards from Jean-Jaurès Metro, between the SNCF station and the Place Wilson. It offers free Wi-Fi access. Each guest room at the Hôtel Héliot is spacious and equipped with satellite TV and private bathrooms. The Hôtel Héliot is hosted by a multilingual team.It is a 10-minute walk from the Canal du Midi and is in close proximity to plenty of shops, restaurants and bars. The Hôtel Des Ambassadeurs is located across from the Toulouse-Matabiau SNCF Train station and the Jeanne d’Arc Metro station. It offers air conditioned accommodations with free Wi-Fi. Guest rooms at the Ambassadeurs have a private bathroom and a flat-screen TV with satellite channels. Breakfast is served every morning and guests are invited to relax with a drink in the Ambassadeurs Bar. The Ambassadeurs Hotel is just a 10-minute walk from the Place du Capitole. Guests can easily explore the city and visit the Musée des Augustins. The hotel is next to a public shuttle stop, providing access to the airport. This hotel is in central Toulouse, 325 ft from the Capitole Metro station. This historic hotel has a courtyard with flowers and a spa area with a sauna, hammam (public bath) and massage treatments. The Grand Hotel de l’Opera offers air-conditioned rooms with classic décor and equipped with free Wi-Fi, satellite TV and a private bathroom with slippers and a bathrobe. Some rooms have a sitting area. The Grand Hotel features 2 large restaurants that serve refined cuisine and a breakfast buffet daily. Guests can enjoy a drink at the hotel’s bar. There is a 24-hour front desk with a porter, and valet service is available on site. All rooms are accessible with an elevator. Guests can easily explore the main attractions of the Pink City. The Hotel de l’Opera is across from the famous Theatre du Capitole, and the Basilica Saint-Sernin is just a 5-minute walk away. Located in the center of Toulouse, Hotel Victor Hugo is in a warm and friendly environment. Hotel Victor Hugo features 32 soundproofed and air conditioned rooms. The hotel is 5 minutes from the train station, 330 ft from the shuttle bus to the Toulouse-Blagnac Airport and only 10 minutes from the conference center Pierre Baudis Toulouse. The famous Place du Capitole is a stone’s throw from the hotel. Its central location makes it the perfect choice for business travelers and tourists. Set within a large park, this Adagio residence is located just 1.5 miles from Toulouse-Blagnac Airport. It offers studio and apartment accommodations with an outside swimming pool and a fitness center. The studios and apartments include air conditioning, a fully equipped kitchenette and free wired internet access. Adagio Toulouse Aeroport provides a daily buffet breakfast and there is also a bar where guests can relax with a hot or cold drink. The center of Toulouse is a 15-minute drive away and the Zenith Stadium is 2.5 miles from the hotel. Free on-site private parking is available. Housed in a 19th-century building and offering views of the River Garonne, this peaceful hotel is 5 minutes from Toulouse Blagnac Airport and 10 minutes from central Toulouse. The Oustal Du Pois Gourmand’s restaurant serves gourmet cuisine and regional specialties made using fresh local produce. The hotel’s air conditioned rooms feature traditional decor and modern private bathrooms. Free private parking is provided at the Oustal Du Pois Gourmand, making it easy to explore Toulouse and the surrounding countryside by car. Located in the heart of Toulouse, the Ours Blanc is next to Place Victor Hugo. It has free Wi-Fi and offers soundproofed guest rooms with air-conditioning and TVs. The Hotel Ours Blanc is situated 650 ft from Jeanne d’Arc and Capitole Metro Stations. Guests can visit the nearby Canal du Midi, the Place du Capitole and the Victor Hugo Market. Guests of the Hotel Ours Blanc - Place Victor Hugo can enjoy a buffet breakfast and free newspapers in the hotel dining room. Private parking can be provided. In the very heart of Toulouse, Hotels Ours Blanc is in a prime position close to the Wilson, Victor Hugo and Capitole squares. Hotel Ours Blanc - Wilson boasts 37 elegantly decorated rooms in which to enjoy a quiet and relaxing atmosphere. All rooms are soundproofed, air conditioned and offer wireless internet access. The hotel enjoys a central location in the heart of Toulouse, near movie theaters, department stores, theaters, museums,and restaurants. Make sure you spend some time exploring the famous Canal du Midi, one of Unesco's World Heritage sites. The Hotel Ours Blanc is located on the Place Victor Hugo, in central Toulouse. Each guest room is soundproofed, air conditioned and has a TV and free Wi-Fi access. This Hotel Ours Blanc is 650 ft from Jeanne d’Arc Metro Station. Guests can visit the nearby theaters, Gaumont and UCG cinemas and find numerous restaurants nearby. Guests of the Hotel Ours Blanc – Centre can also visit the nearby Canal du Midi, the Place du Capitole and the Victor Hugo Market. The hotel serves a buffet breakfast, and bus services are available nearby. Grand Hotel Raymond IV is a 5 minute walk from the Place du Capitole in Toulouse. It offers art-deco inspired accommodations with free Wi-Fi access and air conditioning. The guest rooms have been individually decorated and are soundproof. Each one comes equipped with a radio, a private bathroom and a TV with Canal+ and international channels. A full breakfast is served daily and can be sampled in the comfort of your room. Room service is available on site. The Pierre Baudis Congress Centre is a 15 minute walk from Grand Hotel Raymond IV. Jeanne d’Arc Metro Station is 275 yards away, and Toulouse-Matabiau Train Station can be reached by foot in 5 minutes. Located southwest of Toulouse, Le Prado offers comfortable accommodations and free Wi-Fi access. It features a lounge area and a terrace to be enjoyed during the warmer months. The spacious rooms at Le Prado are equipped with a private bathroom and a TV. The hotel offers snacks, a laundry service, breakfast room, lounge and terrace. Ideally situated, Le Prado is less than half a mile from the Tram and Metro station. It is near the Zenith, the downtown area, Parc des Expositions and Casino. Free private parking is available on site. 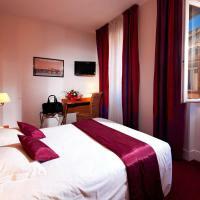 Hotel Le President is located in the center of Toulouse, just north of the Place du Capitole. It offers soundproofed rooms that are set around interior patios and equipped with satellite TV. Le President offers a daily breakfast buffet, which is served in the breakfast room or in the guest rooms. Le President is 330 yards from the Matabiau train station. It is 220 yards from Place Jeanne d'Arc, where you will find metro line B, a bus service and an airport shuttle. Hotel d’Orsay is located across from Toulouse Matabiau train station. It offers soundproofed rooms that have air conditioning, satellite TV with Canal+ cable and free Wi-Fi internet access. A breakfast buffet is served daily in the Orsay’s breakfast room which opens onto the grounds. Guests of the Hotel d’Orsay have easy access to explore the Pink City. It is a 15-minute walk from the Saint-Sernin Basilica and the Musee d’Augustins. This Quality Hotel is in the heart of Toulouse, just under half a mile from the Toulouse-Matabiau Train Station. It features soundproof accommodations with air conditioning and free Wi-Fi internet access. Each guest room at Le Clocher De Rodez hotel has a flat-screen TV with satellite channels, and tea and coffee-making facilities. Rooms are serviced by an elevator and have a private bathroom. A breakfast buffet is served every morning at the Le Clocher De Rodez. The hotel provides a 24-hour front desk, and massages are also available upon request. The Quality Hotel Le Clocher De Rodez is close to the Jeanne d'Arc Metro Station and less than half a mile from the Capitole Square. A public shuttle service to Blagnac Airport runs every 20 minutes. Located 5 miles north of central Toulouse, this Campanile Hotel is next to highway A62 and Lake Sesquières. It offers air conditioned accommodations with a private bathroom and free Wi-Fi. The restaurant at the Campanile Toulouse Sesquieres serves regional and traditional cuisine. There is a buffet service and a children’s menu. The Toulouse Sesquieres Hotel provides a 24-hour front desk and guests are invited to relax on the terrace with a free newspaper. La Vache Metro station is 1.5 miles from the Campanile Sesquieres and offers access to the center of the city and Toulouse Matabiau Train Station. The Toulouse-Blagnac Airport is 6 miles away. This Premiere Classe Hotel is located next to highway A620 and Lake Sesquières, just 3 miles north of central Toulouse. It offers accommodations with private bathrooms and free on-site private parking. Each room at the Premiere Classe Toulouse Sesquières has a private bathroom and a TV. Hotel Toulouse Sesquieres provides a 24-hour front desk and 1.5 miles away is La Vache Metro, which offers access to the center of the city and Toulouse Matabiau Train Station. In the heart of Toulouse, the Hotel Albert Premier is within walking distance of the famous Place du Capitole and other main attractions. The rooms are decorated in a Louis XVI style and come with air-conditioning and free Wi-Fi access. There is also a TV with international channels and a private bathroom with a shower or bathtub. Breakfast is served in the dining area on weekdays and consists of traditional delicacies made with organic produce. Room service is also available for breakfast or dinner. The hotel staff is happy to help you plan a day exploring this historic city. Free guidebooks are available at front desk. This Campanile Hotel is located in next to highway A620 and 3 miles from Toulouse-Blagnac Airport. It provides soundproofed accommodations with free Wi-Fi and air conditioning. Each guest room at the Campanile Toulouse Purpan is equipped with a private bathroom, tea and coffee making facilities and satellite TV. Guests can enjoy regional cuisine at the Purpan’s restaurant and there is a bar and a floral terrace. Free newspapers are available at the Campanile Toulouse’s 24-hour reception. Hotel Albion is in the heart of Toulouse, just a few steps from the Jean Jaures Metro Station, and a 5-minute walk from Place Wilson. It provides comfortable accommodations with private bathrooms. Guest rooms feature air conditioning, TV and free Wi-Fi internet access. Albion hotel offers a daily breakfast that can be taken in the dining area or in the guest rooms. An airport shuttle service is available upon request and the hotel provides a 24-hour front desk. A private garage is provided on site, which is available upon reservation. Toulouse-Matabiau SNCF train station is less than half a mile from the hotel and Place Wilson is a 5-minute walk away. Toulouse-Blagnac Airport is 6 miles away. This Campanile Hotel is near La Cité de l' Espace, 4 miles east of central Toulouse. It offers air conditioned accommodations with a grounds area and terrace. Each room at the Campanile Hotel Toulouse Cité de l'Espace is equipped with a private bathroom and a TV. A breakfast buffer is served daily and guests can enjoy regional cuisine at the Campanile Toulouse Sud-Est Restaurant. The hotel also provides a ticket service at the front desk. The Campanile Cité de l'Espace Hotel is easily accessible by highway A61 and an ideal base for exploring Toulouse. Hotel Phoenicia is located in historic central Toulouse, half a mile from Place Wilson and just 500 ft from the SNCF Matabiau train station. It offers free Wi-Fi internet access. This 19th-century hotel offers soundproofed rooms equipped with air conditioning, flat-screen satellite TV and minibar. Guests can enjoy a buffet continental breakfast in hotel Phoenicia’s lounge area, which has view of the Midi Canal. Alternatively, breakfast can be taken in the guest room upon request. The hotel has a 24-hour front desk and private parking is available nearby. The Toulouse Exhibition Center is 2 miles from Phoenicia. This Citea Hotel is located in Toulouse, just 30 ft from Jolimont Metro station (line A). It has an outdoor swimming pool and offers air conditioned apartments with free Wi-Fi internet access. Each studio at the Citéa Toulouse Jolimont has a TV and a private bathroom. The Toulouse Jolimont Hotel provides a 24-hour front desk. It is half a mile from Matabiau Train Station and 20 minutes by foot or 3 metro stops from La Place du Capitole. Park & Suites Village Toulouse-Saint-Simon offers fully-furnished 2 and 3-bedroom villas. It is located 10 minutes from the center of Toulouse. All villas are air conditioned and have a fully-equipped kitchen, flat-screen TV and Internet access. Park & Suites Village Toulouse-Saint-Simon invites you to enjoy an outdoor swimming pool with beach and deck chairs, a fitness center and a comfortable lounge. The location of the Park & Suites Village Toulouse-Saint-Simon offers easy access to the mountains, sea and Spain. They are all less than 2 hours away. In Toulouse, across from the racetrack and near Jardin de Barry Park, the Appart'city Toulouse Hippodrome offers an outdoor swimming pool with a furnished terrace. The studios and apartments are in a simple décor. They have a flat-screen TV with satellite channels, a kitchenette, and sitting area with internet access. Guests of the Hippodrome can enjoy a daily buffet breakfast served daily. A 24-hour front desk is available with laundry service. There are 2 parking areas available. The Appart'city Toulouse Hippodrome is a 10-minute drive from Toulouse-Blagnac Airport, and Métro Les Arènes is 15 minutes away, giving guests’ access to all of Toulouse. This designer hotel is located in the historic district of Toulouse, 280 yards from the Francois-Verdier Metro station. It offers rooms with free Wi-Fi, satellite TV and Italian furniture. Guests of the Hôtel Design Les Bains Douches can enjoy tapas in the interior courtyard or a drink in one of the lounge bars. Hôtel les Bains Douches offers all the services expected of a 4-star hotel, including a professional concierge service and secure parking. The hotel is in close proximity to the Halle aux Grains theater and the Saint Etienne de Toulouse Cathedral. Located between the Canal du Midi and Place du Capitole, Hotel Saint Claire is in the heart of Toulouse and offers a warm and friendly welcome. Rooms at Hotel Saint Claire offer a personal and refined setting. The decoration is functional and combines French tradition with Feng Shui. Hotel Saint Claire is set 5 minutes from Place du Capitole and the train station. You will find the underground and an airport shuttle close to the hotel. Hotel Saint Claire is the perfect choice to enjoy all the attractions of the center of Toulouse. The surroundings offer a large choice of gourmet restaurants. Located next to the Compans-Caffarelli garden, this Novotel is a 10-minute walk from central Toulouse. It has modern accommodations with free Wi-Fi, and an outdoor swimming pool. 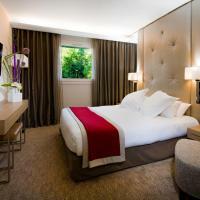 The Novotel Toulouse Centre provides air-conditioned rooms with TV and minibar. Some of them feature a balcony Each bathroom is equipped with a bathtub and a hairdryer. The hotel's restaurant, the Novotel Café serves a full buffet breakfast every morning, either in the dining room or in your room. It also provides a menu service 24/7. You can relax with a drink at the bar or on the terrace. Additional services include 24-hour front desk, baggage storage and daily newspapers. The Novotel Toulouse Centre is equipped with a security system : you will need your key card to take the elevator and the stairs. Up to 2 children (15 years and under) can stay free of charge, when sharing with their parents. Located in the historic center of Toulouse, Mercure Toulouse Saint Georges is just 165 ft from Place Wilson. It offers air conditioned accommodations with free Wi-Fi access. Rooms at the Toulouse Saint Georges are equipped with satellite TV and a private bathroom. All the rooms are serviced by an elevator. The hotel allows up to 2 children, under 12 years old, to stay free of charge when staying with their parents. Guests are invited to relax in the Saint George’s bar and the hotel offers room service. There is also a 24-hour front desk and a laundry service. The Saint Georges is 1000 ft from the Capitole (City Hall) and 300 ft from Jean Jaurés Metro station, which allows access to all of Toulouse. A public parking lot is conveniently located beneath the hotel. Mercure Toulouse Wilson is in the center of Toulouse in the restaurant and theater district. It offers modern accommodations and a bar. All the rooms at Mercure Toulouse Wilson come with private bathrooms, satellite TV, a minibar and free Wi-Fi access. Breakfast is served daily and guests are invited to relax with a drink in the L’Entracte bar. Room service is also available. Mercure Toulouse is ideally situated on Place Wilson, just a 5 minute walk from the Place du Capitole. Most of the city’s main tourist sites can be reached by foot and guests can use the Velotoulouse system to see the attractions by bike. Jean Jaurés metro station and the airport bus stop are 100 yards from the hotel. It is 20 minutes to Blagnac Airport. Private parking with direct access to the rooms is available on site for an extra cost. This Privilege hotel is located in central Toulouse, just a 5-minute walk from the Toulouse-Matabiau Train SNCF Station. It provides soundproofed accommodations with free Wi-Fi internet access. The Privilege Hotel Mermoz offers air conditioned rooms and suites with a marble bathroom and satellite TV. A gull breakfast buffet is served each morning and guests are invited to enjoy the Mermoz’s indoor garden and summer terrace. The Mermoz is just 1800 ft from Jeanne D’arc Metro station, which provides access to the Saint-Etienne Cathedral. The Place du Capitole is a 10-minute walk away. This Balladins Superior Hotel is located 3 miles from Toulouse-Blagnac Airport and easily accessible by highway A620. It offers 3-star accommodations with private bathrooms and satellite TV. A breakfast buffet is served daily at the Hôtel Balladins Toulouse Superior and the restaurant offers traditional cuisine. Guests are invited to relax on the hotel’s terrace and free Wi-Fi is available at the 24-hour front desk. Free private parking is available on site at the Toulouse Superior Hotel and the center of the city is a 15 minute drive away. Next to Toulouse-Blagnac Airport, this Novotel is a 20-minute bus ride from the center of Toulouse. It has a heated swimming pool, a tennis court and an outdoor children’s play area. Guest rooms at the Novotel Toulouse Aeroport are soundproofed and come with air conditioning, a minibar and a flat-screen TV with satellite channels. The Novotel has a policy which allows two children to stay free of charge when sharing with their parents. At the Novotel Café Restaurant, guests can enjoy a 24-hour snack service and the terrace has a view of the swimming pool. A free airport shuttle is available upon request at the Novotel Toulouse. There is also a tram stop next to the hotel which is a 10-minute ride from the subway station. The hotel offers free on-site parking and the A620 highway is one mile away. Located on the banks of the Canal du Midi, Hôtel Icare is located 400 ft from Matabiau Train Station. It offers guest rooms equipped with a TV with satellite channels. Each air conditioned guest room includes a private bathroom with a hairdryer. Most rooms have a view of the grounds. All rooms are serviced by an elevator and Wi-Fi access is available. Icare hotel serves a buffet breakfast every morning and guests can enjoy a drink in the bar. With private parking nearby, this hotel is 5 miles from Toulouse-Blagnac Airport. Marengo Metro Station is just 1300 ft away. The Hôtel de France is located in the heart of Toulouse, 5 minutes from Capitole Square and near the Pierre Baudis conference center. The hotel offers free Wi-Fi internet access. All the air conditioned guest rooms include satellite TV (Canal+) and have private bathrooms. The Hôtel de France is in close proximity to the train station, airport shuttle bus, stores and restaurants. This hotel is located in central Toulouse, next to the Jeanne d’Arc Metro stop. Guests are offered a free drink at the bar, Wi-Fi access and a packed lunch. Best Western Athenee features soundproofed rooms equipped with air-conditioning. All rooms have a contemporary design, a private bathroom and a TV. There is a 24-hour front desk service and free international newspapers are provided. All rooms are serviced by an elevator. Guests can enjoy a drink at the hotel’s bar. A breakfast buffet is served daily at the Best Western Athenee. The Athenee is a 5-minute walk from the Basilique Saint-Sernin and an ideal base for discovering the city of Toulouse and the Garonne River. In the center of Toulouse, this 5-star hotel is set 260 ft from Theatre du Capitole Opéra House. It features a fitness center and an interior courtyard with a fountain and sculptures. Each soundproofed room includes a flat-screen TV with a DVD player and video rental. Some of the classic-style rooms feature a hot tub and views of Place du Capitole. Luxury products are available in the marble bathrooms. Savor gourmet French cuisine in the restaurants at the hotel Crowne Plaza. An American and continental breakfast is served every morning. Guests can enjoy cocktails in the Plaza Bar. Crowne Plaza Toulouse offers wired internet access and a tour desk. A butler service is also available. Capitole Metro Station is 650 ft from the hotel. Valet parking is available and Toulouse-Blagnac Airport is a 25-minute drive away. In a 19th-century building, this hotel is in the heart of Toulouse, across from the SNCF train station and the airport shuttle stop. It offers spacious accommodations with free Wi-Fi access. The modern guest rooms come with private bathrooms and satellite TV (Canal +). All of the rooms are serviced by an elevator. A buffet breakfast is served every morning at ibis Style Toulouse Centre Gare. There is also a bar and TV lounge where guests can relax. The city’s many shopping opportunities, sites and restaurants are easily accessible by foot, including the Capitole de Toulouse which houses the Hotel de Ville, opera house and dungeons. This Mercure hotel is located in central Toulouse, a 10 minute walk from Capitole Square and just 650 ft from the Compans Caffarelli Metro. The contemporary guest rooms include air conditioning, Wi-Fi internet access, a flat-screen TV with satellite channels and tea and coffee making facilities. Hotel Mercure Toulouse Compans Cafferelli’s restaurant, is open for breakfast, lunch and dinner serving traditional, healthy French dishes. Guests can dine in the restaurant, on the terrace overlooking the grounds or in their guest room. Hotel Mercure Toulouse Compans Cafferelli is next to Pierre Baudis Convention Center and Toulouse-Matabiau Train Station. This Nemea Appart’hotel is located Toulouse west industrial park, a 5-minute drive from Toulouse-Blagnac Airport. It offers studio and apartment accommodations with free Wi-Fi and a pool. Both the studios and apartments are equipped with air conditioning, satellite TV and a kitchenette with microwave, hotplate and dishwasher. A continental breakfast is served daily upon request and there is a vending machine with snack and beverages. Guests of the Apart’hotel Toulouse Saint Martin have free use of the indoor heated swimming pool, sauna and fitness center. Free public parking is available on site for guests arriving by car. The Nemea Apart’hotel Toulouse is 440 yards from the Airbus Industries offices and half a mile from highway A624. Residence Parthenon is located in the center of Toulouse, a short walk from Place Wilson and the TGV high-speed train station. It offers equipped apartments and a gym. The apartments all have kitchens with fridges, vitroceramic stove tops and microwaves, along with living rooms and private bathrooms. The Parthenon is in close proximity to the Jean Jaurès and Marengo Metros and it is 15 minutes by car to the airport and Airbus training center. Other services include a multilingual staff and free Wi-Fi internet access in the bar. Pullman Toulouse Centre offers modern and stylish accommodation within walking distance to the city centre and Place du Capitole. It is just a 15-minute drive from Toulouse-Blagnac Airport and 450 metres from Matabiau SNCF Train Station. Each of the elegantly decorated rooms at the Pullman Toulouse Centre is air-conditioned and has free Wi-Fi access and a TV with 70 channels. A minibar and a tea and coffee maker are also provided. Guests can enjoy cocktails from the SW Lounge. Afterwards, they can sample innovative international cuisine at the SW restaurant.. Guests have 24-hour access to the fitness centre and the reception desk. Pullman Toulouse Centre has private underground parking with a valet service. In the center of Toulouse, this hotel is just 600 ft from the Place du Capitole and its Metro stop. It offers bright and airy rooms with cable TV. The guest rooms at Le Capitole are air conditioned and come with private bathrooms. Each room is service by an elevator. Le Capitole’s staff is available to assist 24 hours a day, and the hotel provides free Wi-Fi access in its public areas and in some guest rooms. The Capitole is just a 5-minute walk from the Theatre du Capitole and 1300 ft from the Saint-Semin Basilica. Public parking is available in close proximity to the hotel. Ideally situated in the heart of Toulouse, near the Canal du Midi, the residence offers plain and cozy accommodations. The Residhome Toulouse De Brienne offers well furnished apartments where you benefit from a peaceful and quiet environment whether you want to sleep, relax or maybe even work. The Residhome Toulouse De Brienne benefits from a privileged location near one of the finest restaurants in Toulouse and the promenade along the banks of the Garonne River. There, numerous festivals and events are hosted throughout the year. Park & Suite Elégance Toulouse-Purpan is 10 minutes from Place du Capitole in the center of the city. It offers apartment suites, and outdoor heated pool, a sauna and fitness room. All of the apartment suites are air conditioned, stylishly furnished and have a fully equipped kitchen, flat-screen TV and free, unlimited internet access. The location of the residence allows for easy access by highway and Metro to central Toulouse. It is also close to the Zenith concert hall and aerospace district. A free shuttle is available to access the sites of Airbus, EADS and other major local airspace industries. The Hotel Boreal is situated in the center of Toulouse, 5 minutes from the SNCF train station, La Place Wilson and La Place du Capitole. Its location also provides for easy access to the Metro, the airport shuttle and the conference center. Guest rooms are entirely renovated and are air-conditioned and sound-proofed. 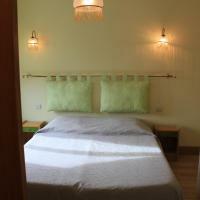 They are equipped with bathroom with shower or bathtub, direct-line telephone, TV and free Wi-Fi internet access. The surrounding area of the Hotel Boreal is lively and contains plenty of restaurants, bars, cafes and shops. Hotel Wilson Square is located in the heart of historic central Toulouse, just 220 yards from Capitole Square. It offers soundproofed accommodations with air conditioning and free Wi-Fi internet access. Each guest room at the Wilson Square has a private bathroom and a flat-screen TV with satellite channels. They are also serviced by an elevator. A breakfast buffet is served daily in the Wilson’s traditionally-furnished breakfast room. The Wilson Square Hotel is just a few minutes’ walk from the Capitole Metro station, which provides access to the city’s main attractions. There is also an airport shuttle stop and public parking nearby.